Great style and a perfect fit for everyone. 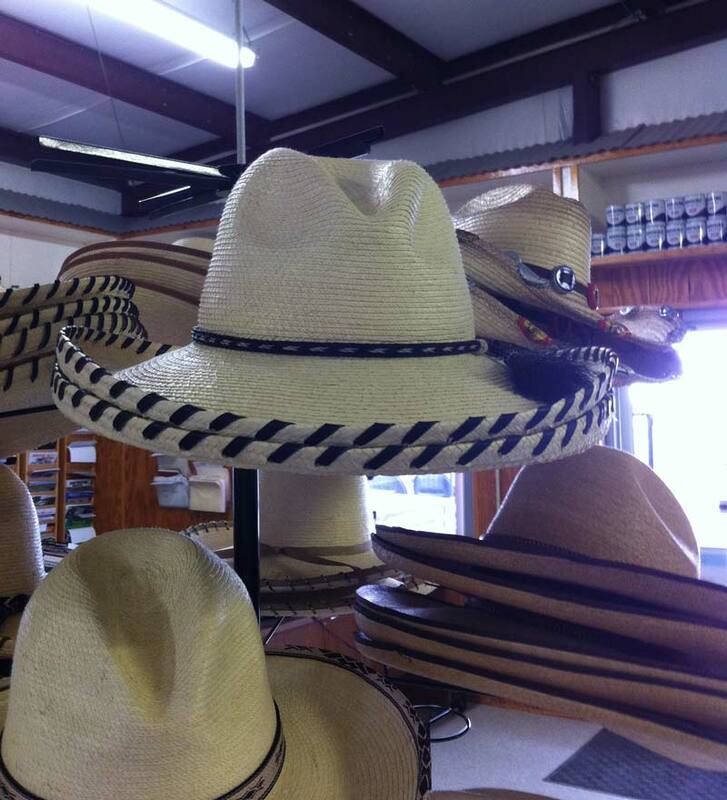 We offer over 12 varieties of Western Style palm leaf hats, inventory is constantly changing. We keep sizes 6 7/8 - 8 in stock. SunBody Guatemalan palm leaf hats are TOUGH. They are totally handmade. Palm-leaves are split into strips which are braided into a flat plait. The plait is then sewn together in over-lapping spiral. 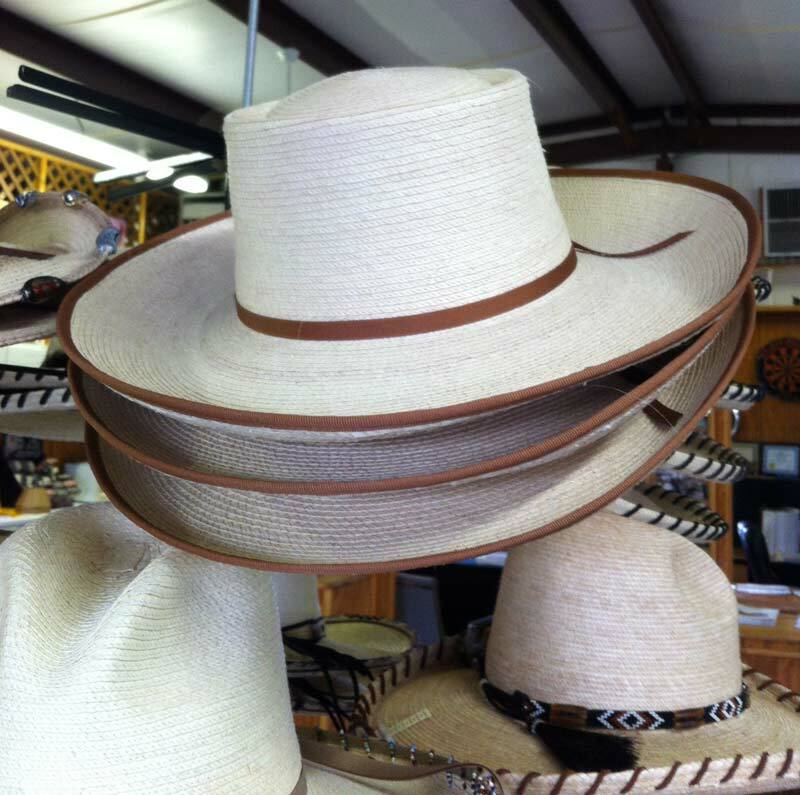 With 150 feet of strong palm braid, or more, and 20,000 stitches in every hat, these palm-leaf hats can be crushed and spring back to shape. 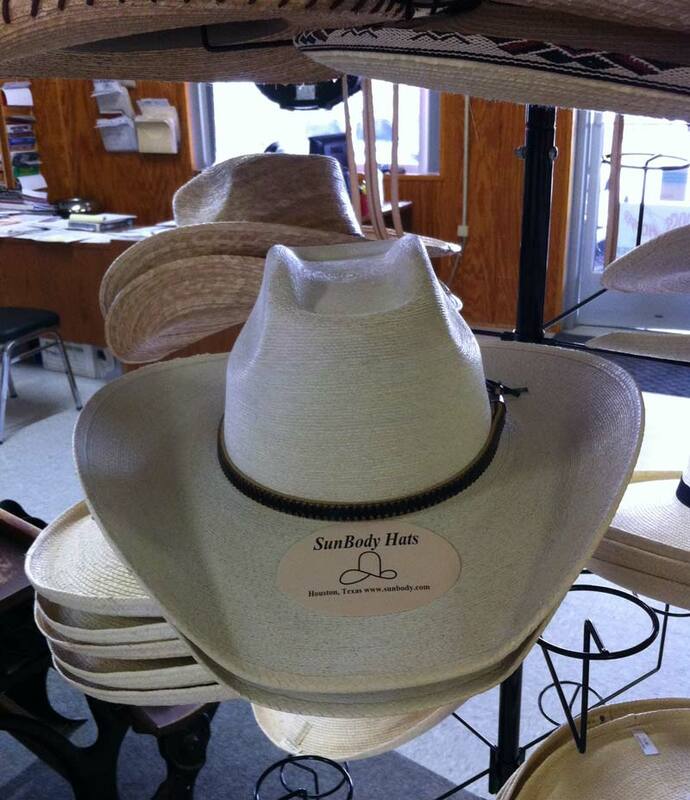 SunBody Hats imports palm leaf hats from Guatemala and Mexico where we work directly with hat makers. We shape and trim them in our shop in Houston, Texas. 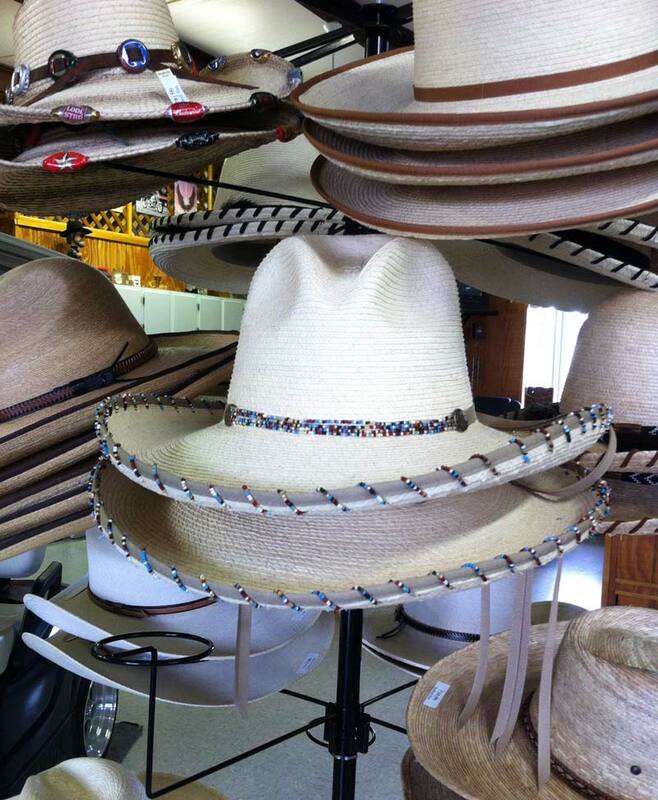 Sunbody Hats block 95% of harmful UV waves for an equivelancy of UPF 50+. It's fun and you can't hurt it when its wet. Play with it - in thirty minutes you'll be a pro. Step One: Get your hat good and wet, inside and out. Spray it, hold it under the faucet or dunk it in a trough or stream. Step Two: Crease the crown (as shown), putting the seam at the back. Shape the side curves like you want them. For symmetry, look at the inside of the crown while working it. Step Three: Shape the brim by rolling the edges toward the crown. 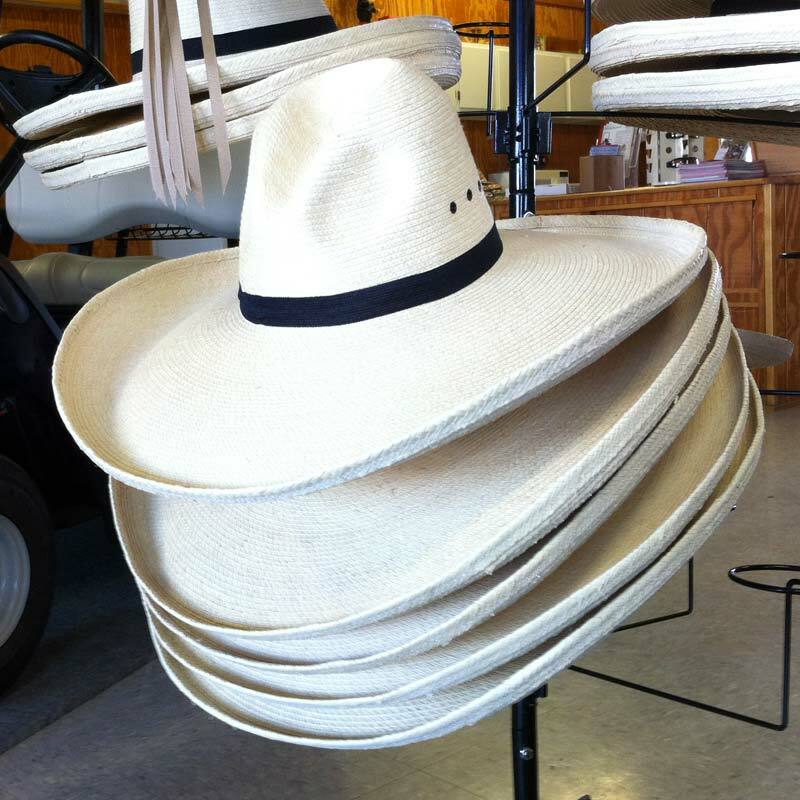 Exaggerate the roll, maybe even crease it, as the brim will have a tendency to uncurl some when you let it go. 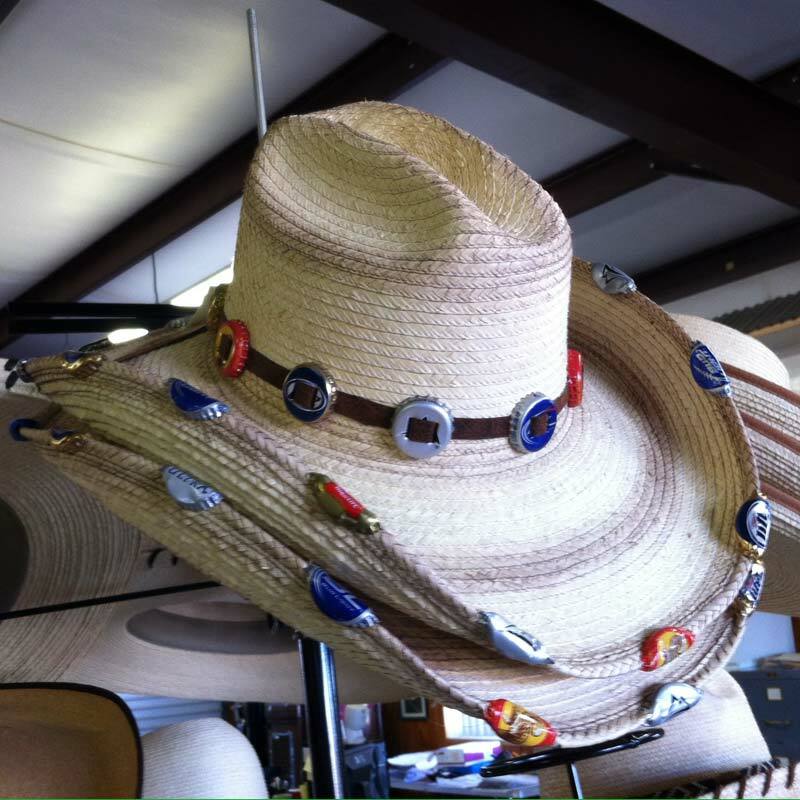 Step Four: For a nice front-to-back curve, stretch the hat lengthwise with your fingers from the inside while pulling down on the ends of the brim with your thumbs. Extreme dryness will make you hat brittle. In dry weather an occasional dousing will keep your hat fresher and make it last longer.